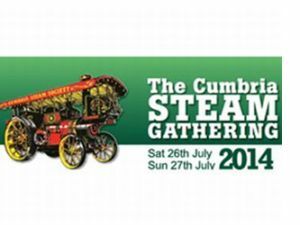 A great event for steam enthusiasts but there’s much more on show here! A huge, colourful and noisy weekend event with a variety of entertainments, the Steam Gathering features splendid steam engines and vintage commercial vehicles, as well as hundreds of classic transport favourites including cars, motorcycles, military vehicles and pedal cycles. Being situated in a mainly agricultural area, tractors, farm machinery and stationary engines are well represented and always attract considerable attention. This entry was posted in Blog and tagged cumbria, events, kendal, lake district, summer on 22/07/2014 by Alison Mason.